The first full trading week of the peak sales period in Britain saw bookings down 2% on the comparable week a year ago across the three main seasons on sale. Industry analyst GfK reported bookings in the week to Saturday, January 12, up 2% year on year for the current winter, but summer 2019 bookings down 3% on the comparable week in 2018 and winter 2019-20 bookings down 1%. However, GfK senior client insight director David Hope noted the first full trading week of 2018 was “particularly strong” with summer 2018 sales up 7% against 2017. He reported package holidays performing ahead of the market this year, with package sales for winter 2018-19 up 5% year on year in the week to last Saturday. The package market for summer 2019 remains 7% up for the season to date, with cumulative revenue for the summer more than two percentage points ahead of bookings – broadly in line with November’s CPI inflation rate of 2.3%. December’s inflation rate was due to be released on Wednesday. Bookings for winter 2018-19 remain 5% up year on year for the season to date. The latest GfK data comes off the back of a 5% year-on-year rise in bookings last summer. However, it appears to show a shift away from EU destinations, reflecting concerns about the exchange rate amid uncertainty about Brexit. There was a 4% decline in bookings to the EU across all seasons in the week to January 12, and a 5% drop in summer bookings – including an 11% decline to the Balearics – yet a 2% increase to non-EU destinations. Turkey saw a 13% rise in bookings and North Africa a 28% increase. Long-haul operator Wendy Wu Tours reported having to work harder to convert sales. However, global sales director John Warr reported trade bookings outperforming the direct market. “January saw a slow start but is getting stronger,” he said. Teletext Holidays reported a 17% rise in bookings year on year on the first Sunday of January. Hoseasons reported bookings of domestic short breaks up 27% year on year through the trade between Christmas and New Year. Cruise bookings are running 2% up year on year across all seasons on sale, with UK ocean passenger numbers expected to have surpassed two million for the first time in 2018. GfK reported cruise bookings in the week to January 12 down 1% year on year against a strong comparison week a year ago. However, cumulative bookings for the current winter season were up 4% year on year to the end of last week and early sales for winter 2019-20 up 7%. 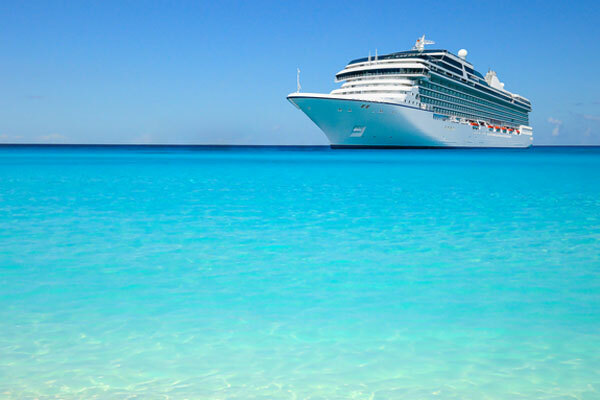 Only UK cruise bookings for this summer were down for the season to date, by 1%. The figures come off the back off a record year for UK cruise bookings in 2018. Cruise association Clia confirmed UK passenger numbers rose 2.1% year on year in the nine months to September off the back of a 3.2% increase in the peak summer months.